Posted October 19, 2018 by Rattling Stick & filed under News. 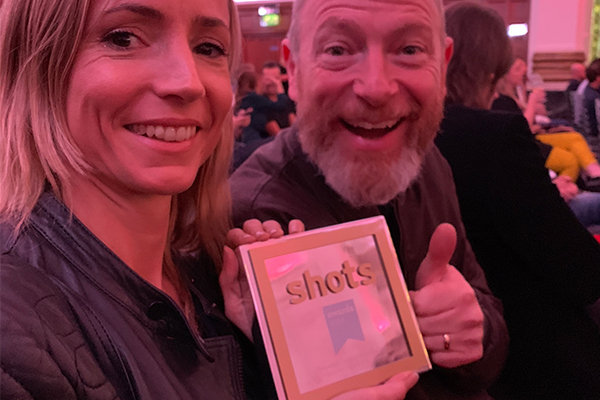 We won a Gold award for ‘Television Commercial of the Year – Up to and including 60 seconds’ at the shots awards last night for Tide Super Bowl. Congratulations to Traktor @ Rattling Stick and the whole team. Here’s Johnnie & Katie in a pink aura. Thanks for a great night, shots! Watch it again here.